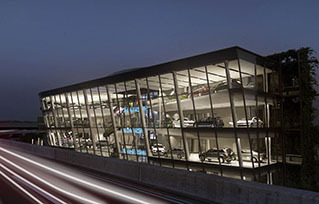 Smart Key Solutions for the modern day Automotive Dealership. eziKey has extensive experience in the operation of Automotive Dealerships, and know the operational stresses that high-volume vehicle movement cause on a day-to-day basis. Through our knowledge of the industry and these 3 key factors, eziKey has carefully tailored a business solution for Automotive Dealerships. When was the last time you spent less than 5 minutes allocating a speeding fine? Whilst an app to track vehicles is a good idea, it cannot guarantee 100% accuracy. eziKey only allows authorised users to access vehicle keys via their own unique user account. As seen in the video below, every key that is taken to drive a car has to be booked out to an individual. 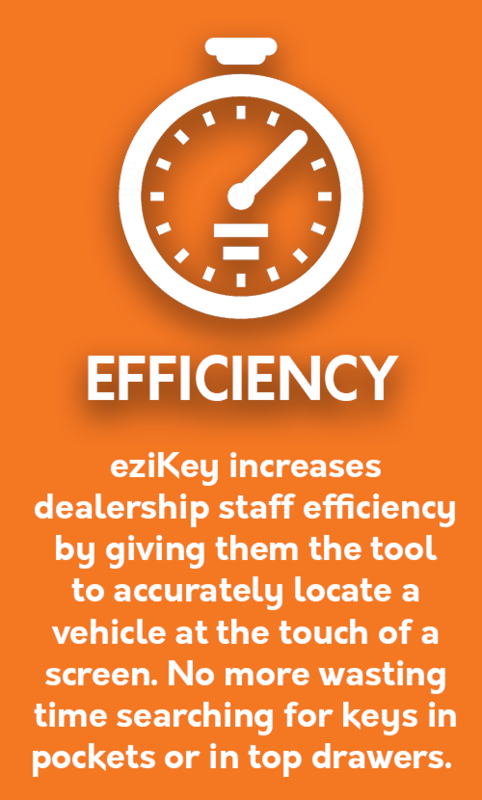 eziKey is designed to work in multiple locations around your Dealership. 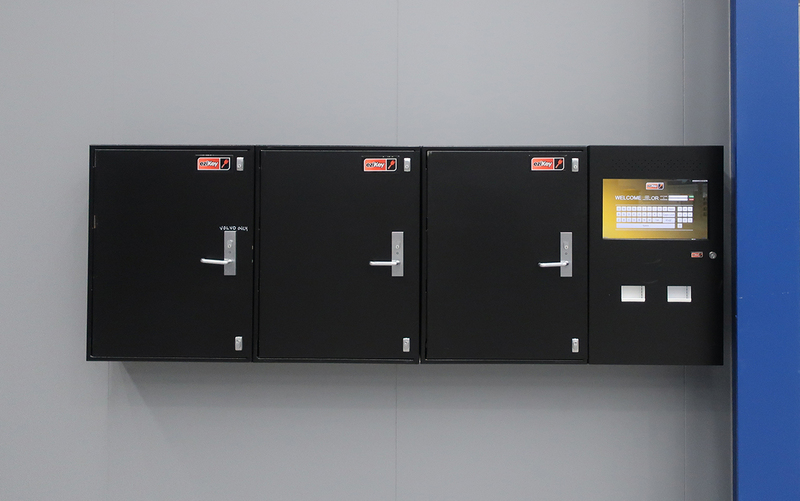 Once you install eziKey in your Showroom, your Workshop, your Storage facility and anywhere else where cars need securing, our system communicates to each location and updates a vehicle's movement/new location when a key is returned to a Vault. 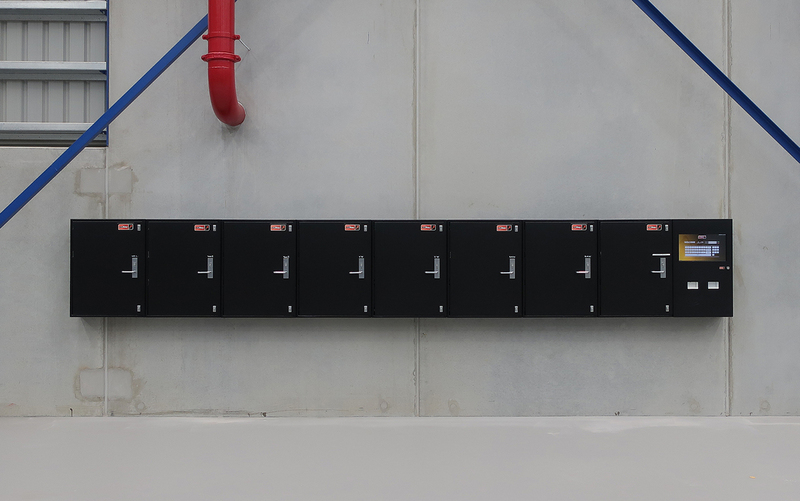 Our Vaults are designed to be modular, and have the ability to meet any business need. The main reason for having a Key Safe in any dealership - is to ensure the keys to all vehicles in your possession are secured. eziKey's 71 Key Vault takes key security to the next level by providing industry leading Vault design, to ensure keys are secure from unauthorised users. This was confirmed by Allianz Insurance after receiving nation-wide accreditation as an Approved Key Safe. If you insure your vehicle inventory through Allianz, you will have their full support and you may also be eligible for a reduction in your insurance premium. Every installation includes an eziKey Management Tool feature. This is a software program that is installed onto the computers of your Dealership Management Team, Stock Controllers, etc, and allows them to monitor key movements, vehicle usage and manage your vehicle inventory. Losing keys is a very expensive exercise. Every key transaction within the eziKey system is recorded, and therefore able to be viewed if a key goes missing. 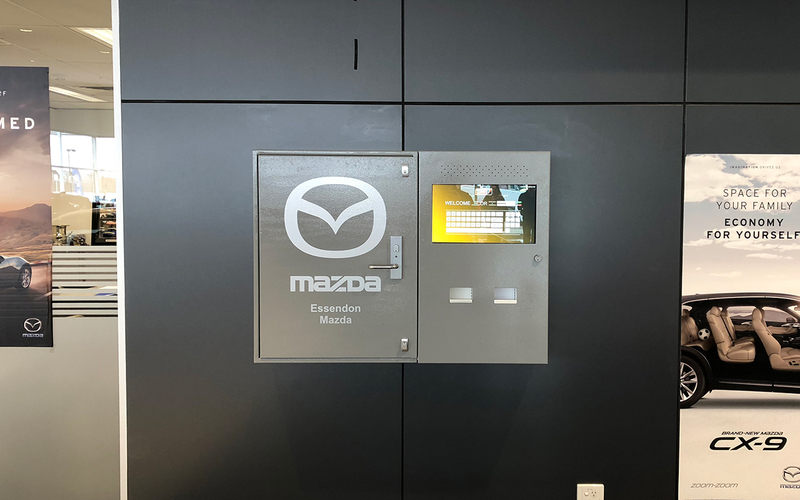 You can now stop wasting time running around the dealership looking for a key, checking security camera footage or quizzing your staff. Wasting time is no longer an issue when trying to find a car key or the vehicle itself. Any authorised user can search for a vehicle via our system, and immediately be informed of the key and vehicle location. If a vehicle is in a different location or Vault, eziKey notifies the user so they don't have to physically search for the key. The eziKey system has an integrated Drivers Licence scanner, which has the ability to store a Drivers Licence against each vehicle movement. Each Staff Member has a profile in the eziKey system which includes a scanned copy of their Drivers Licence. 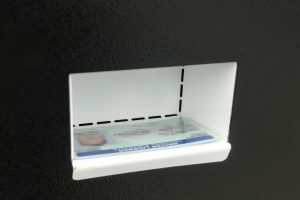 This ensures that each member of staff can drive a vehicle without the need to scan their Licence. If a Staff Member receives a driving infringement, all licence details are at your disposal to allocate the infringement to them, improving your business efficiency in multiple departments. Test driving a customer is now a streamlined process. The authorised user can simply place the customer's Licence in our scanner and the system will generate a full Loan Agreement Form with licence shown. Loan Agreement Forms are totally customisable to ensure it reflects your brand and covers your unique conditions of loaning a vehicle. 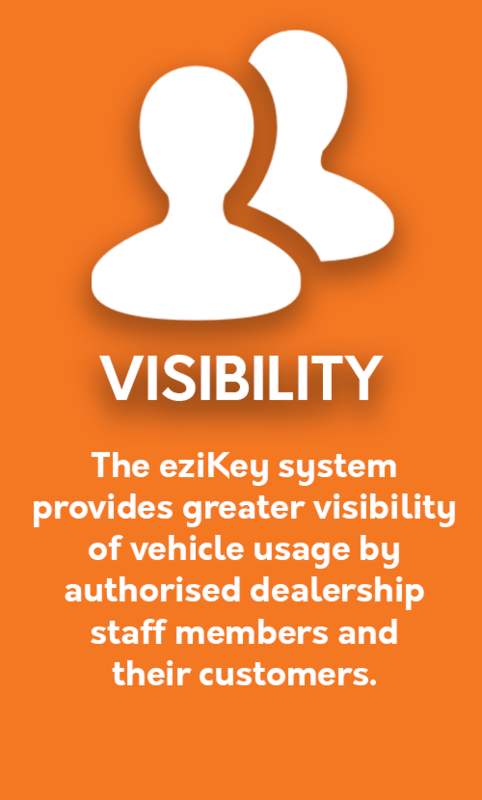 eziKey is used by multiple dealerships around Australia.